Employees working in cold or wet conditions for extensive periods run the risk of cold stress, hypothermia, frostbite, and trench foot. Serious cases of cold stress can result in hospitalization or death. In less severe weather, cold still numbs hands and feet, reducing dexterity, making work more difficult and increasing the risk of injury. 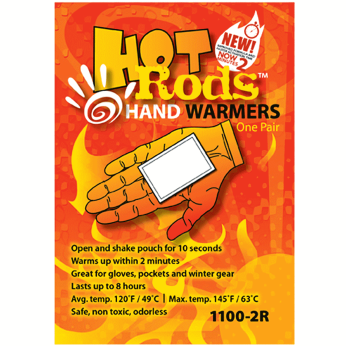 Limiting time outside, weather-appropriate clothing, and proper use of radiant heaters and other engineering controls help minimize the effects of extreme cold. 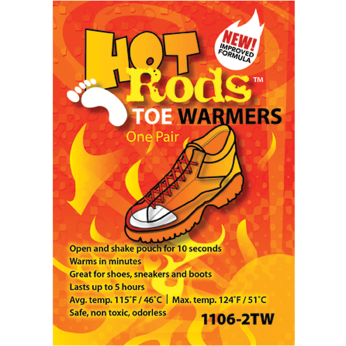 Warming pouches of toe and hand warmers also help keep extremities warm. Simply shake pouches to activate and they produce warmth for up to eight hours—more than enough to see you through an average work shift. After all, just because you have to work in the cold and wet’s no reason you shouldn’t be comfortable.